Through 17 institutional choice case studies funded by PROFOR, the World Resources Institute (WRI) explored the democratizing effects of ‘decentralization’ reforms and projects in forestry in Benin, Botswana, Brazil, China, India, Nicaragua, Malawi, Mali, Mozambique, Russia, Senegal, South Africa, and Zambia. Choose democracy: Choose to place public decisions with decision makers who are accountable and responsive to the local citizens. Where democratic local government does not exist, work to establish and enable local democracy. Build the public domain: Work to create a set of public powers directly or indirectly under the jurisdiction of elected local authorities. These powers make elected authorities worth engaging by enabling them to be responsive to local needs and aspirations. They constitute what we call ‘the public domain’, e.g. the space of public interaction that constitutes the space of democracy. Build citizenship: Support the right and provide the means for local people to influence the authorities that govern them—channels of communication and recourse. Inform citizens of the powers and obligations their representatives have and of the means available to citizens for holding their leaders accountable. Promote equity: Systematically partner with local organizations representing all classes—with an emphasis on organizations of the poor. Level the playing field through policies that affirmatively favor the poor, women and marginalized groups. Enable local representatives to exercise their rights as public decision makers: Create safe means for representative local authorities to sanction and demand resources from and take recourse against line ministries and other intervening agencies so they are able to exercise their role as local representatives. 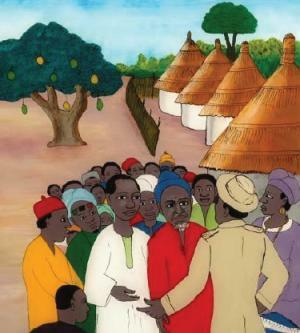 Help local governments to engage in collective bargaining for laws that favor the populations they govern: Enable local governments to bargain collectively with central government to ensure they are granted the rights they need to manage their forest and to insure that the rights they have been granted in law are transferred to them in practice. Facilitate representation of rural needs and aspirations in national legislatures. Harness elite capture: Elite capture is pervasive if not inevitable. Enable the people to capture the elite who capture power. Assure that elites who rule are systematically held accountable to the majority and to the poor, and marginal populations through all of the above means. This is democracy. WORKING PAPER #19 (French). Le quota est mort, vive le quota! Ou les vicisitudes de la réglementation de l’exploitation du charbon de bois au Senegal. El Hadji Dialigué Bâ. February 2006. WORKING PAPER #20 (French). Décentralisation, pluralisme institutionnel et démocratie locale: Étude de cas de la gestion du massif forestier Missirah Kothiary. Papa Faye. February 2006. WORKING PAPER #21 (French). Décentralisation sans représentation: le charbon de bois entre les collectivités locales et l’Etat. Ahmadou M. Kanté. February 2006. WORKING PAPER #23. Accountability in Decentralization and the Democratic Context: Theory and Evidence from India. Ashwini Chhatre. January 2007. WORKING PAPER #24. Institutional Choice and Recognition: Effects on the Formation and Consolidation of Local Democracy, Minutes of a Comparative Policy Research Workshop. Rapportuers: Bradley L. Kinder, Nathaniel Gerhart, and Anjali Bhat. December 2006. WORKING PAPER #25 (French). La réglementation de la filière du charbon de bois à l’épreuve de la décentralisation: entre discours, lois et pratiques. El Hadji Diaigué Bâ. February 2006. WORKING PAPER #26. Enclosing the Local for the Global Commons: Community Land Rights in the Great Limpopo Transfrontier Conservation Area. Marja Spierenburg, Conrad Steenkamp, and Harry Wels. August 2007. WORKING PAPER #27. Indigenous Peoples, Representation and Citizenship in Guatemalan Forestry. Anne M. Larson. August 2007. WORKING PAPER #28. Dilemmas of Democratic Decentralization in Mangochi District, Malawi: Interest and Mistrust in Fisheries Management. Mafaniso Hara. August 2007. WORKING PAPER #29. Undermining Grassland Management Through Centralized Environmental Policies in Inner Mongolia. Wang Xiaoyi. August 2007. WORKING PAPER #30. ‘Fragmented Belonging’ on Russia’s Western Frontier and Local Government Development in Karelia. Tomila Lankina. August 2007. WORKING PAPER #31. Engendering Exclusion in Senegal’s Democratic Decentralization: Subordinating Women through Participatory Natural Resource Management. Solange Bandiaky. October 2007. WORKING PAPER #32. Party Politics, Social Movements, and Local Democracy: Institutional Choices in the Brazilian Amazon. Fabiano Toni. October 2007. WORKING PAPER #33. State Building and Local Democracy in Benin: Two Cases of Decentralized Forest Management. Roch Mongbo. October 2007. WORKING PAPER #34. Institutional Choices in the Shadow of History: Decentralization in Indonesia. Takeshi Ito. December 2007. WORKING PAPER #35. Institutional Choice and Recognition: Effects on the Formation and Consolidation of Local Democracy Program. Jesse C. Ribot, Ashwini Chhatre, Tomila V. Lankina. January 2008. WORKING PAPER #36. Authority over Forests: Negotiating Democratic Decentralization in Senegal. Jesse Ribot. January 2008. WORKING PAPER #36 (French) Non-décentralisation Démocratique au Sénégal : Le Non-transfert de L’autorité sur les Forêts. Jesse C. Ribot. January 2008.